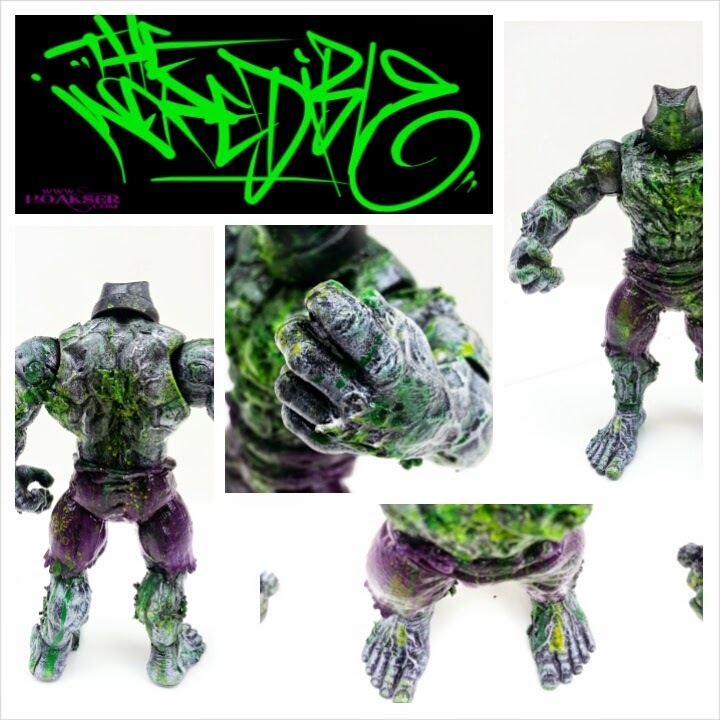 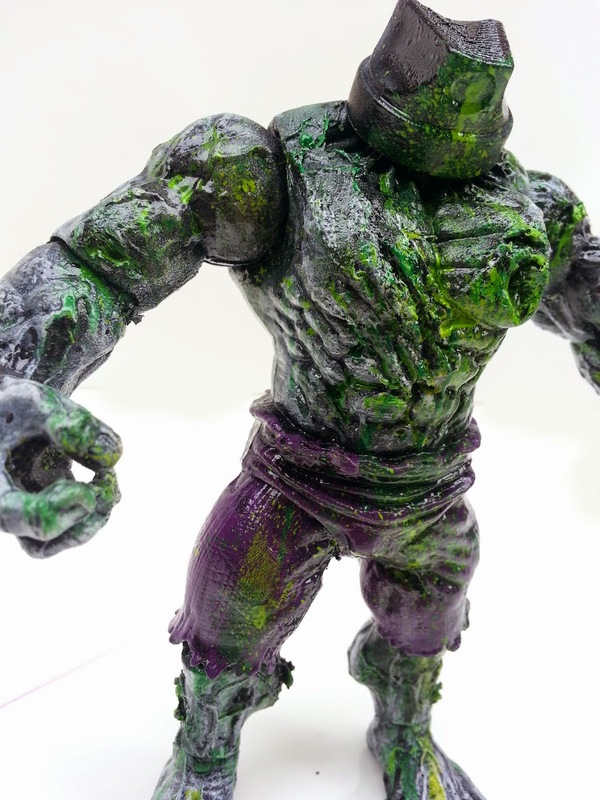 New to the store this week is this one of a kind custom, 15cm tall The Incredible.. 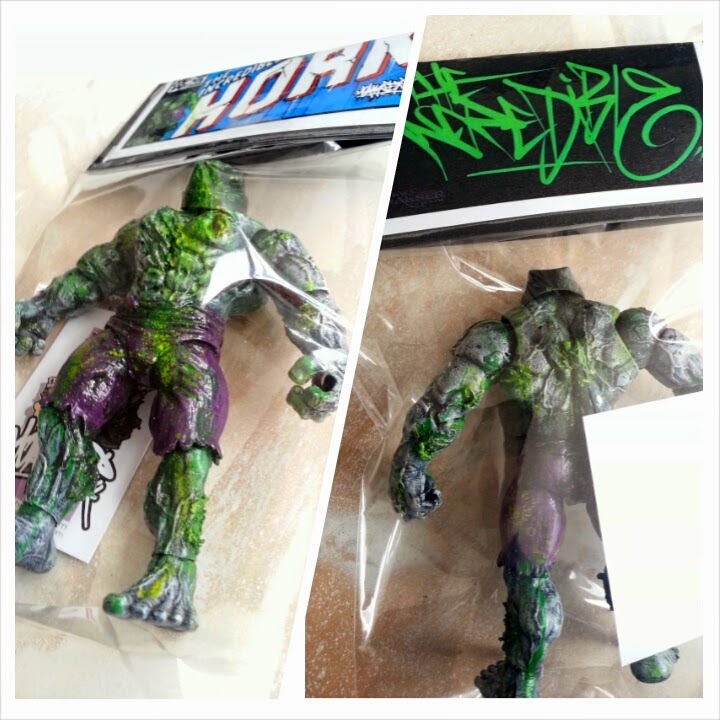 He comes caged in a see through bag with art card header and it's advised once unleashed, not to make him angry.. You can see him in more detail at my Bigcartel store.. 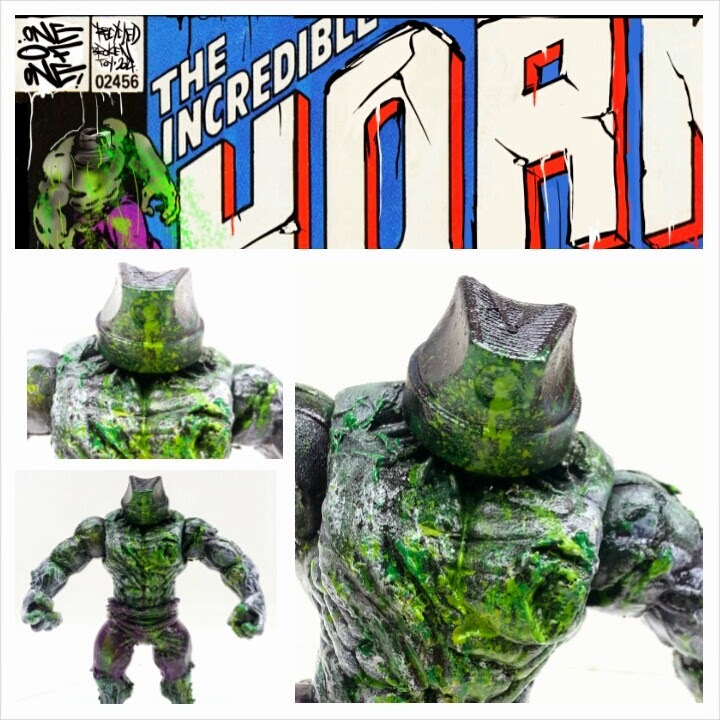 The Incredible is priced at £25 plus postage..